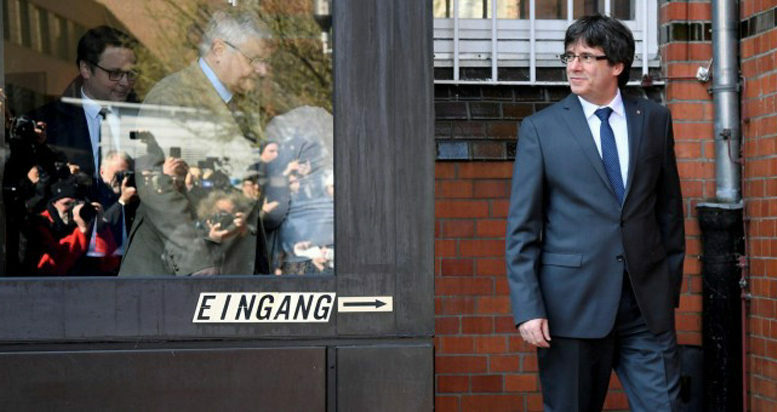 Spanish Supreme Court Judge Pablo Llarena is studying an appeal to the Luxembourg-based Court of Justice of the European Union (CJEU), after Carles Puigdemont walked free on bail in Germany on Friday following a ruling by a panel of Schleswig-Holstein regional court judges that the former Catalan president could not be extradited to Spain on the charge of rebellion. LLarena, who issued a European Arrest Warrant (EAW) for Puigdemont on 23rd March on the charges of rebellion and embezzlement of public funds, is readying an appeal to the EU’s highest court alleging that German regional judges overstepped the mandate of the 2002 EAW Framework Decision in making their decision by delving into questions of Puigdemont’s possible guilt or innocence in their ruling. Under the EAW framework ascribed by all 27 EU member states, any EU country that receives a warrant from another EU country is obliged to extradite the individual in question on the basis of whether or not the crime or crimes named in the warrant have equivalent crimes in the penal code of both countries. In a preliminary decision issued last Thursday, a three-judge panel of the Schleswig-Holstein regional court said that while Spain’s crime of “rebellion” and Germany’s crime of “high treason” did match up, the alleged level of violence ascribed to Puigdemont and others in Catalonia’s push for secession from Spain did not measure up to Germany’s standard for the level of violence needed to convict – namely, that the violence involved had to be demonstrably sufficient to overthrow the government. The German judges also said the risk of Puigdemont’s flight from Germany had been reduced because of their decision to not hand him over on the more onerous rebellion charge, justifying their releasing the Catalan on bail while they look more carefully at the lesser charge of embezzlement of public funds. According to Spanish press reports, Spain’s judge Llarena will appeal the German judges’ ruling to the CJEU in Luxembourg, claiming that by having entered into consideration of Puigdemont’s presumed guilt or innocence in their decision they had gone beyond their mandate under the terms of the EAW framework. The entire EAW system is called into question and the trust among EU member states over the fairness of each other’s judicial systems undermined, goes the reasoning, if one EU country can prejudge a suspected criminal’s guilt or innocence prior to extradition to stand trial in another EU country that has issued the arrest warrant. If the CJEU agrees to hear the Spanish appeal, then the proceedings against Puigdemont and five other Catalans being sought from Belgium, Switzerland and Scotland will be frozen until the EU court decides the matter, which press reports say would take two or three months.